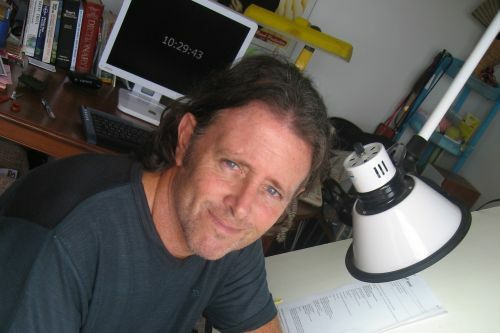 Colin Cotterill is a British-Australian novelist of crime fiction, as well as being a cartoonist. He writes the Dr. Siri Paiboun and the Jimm Juree series. Colin was born in London, but has worked as a P.E. instructor in Israel, as a teacher in Australia, a counselor for educationally handicapped adults in the United States and a universty lecturer in Japan. He is passionate about child protection in Southeast Asia, which is a major theme in his novels. Meanwhile, Colin has worked as a cartoonist and written columns for the Bangkok Post, which led to him becoming a novelist. As of this writing, Colin currently lives on the Gulf of Siam. Colin Cotterill Synopsis: The collection Ageing Disgracefully is a selection of humourous short stories about old people and how they behave in their twilight years. The collection contains stories and illustrations based on elderly people Colin has encountered in England, Australia, the United States and Thailand. He looks at elderly bank robbers, murderers, serial killers, practical jokers, gamblers and perverts – some of whom may remind of us of senior citizens we may know.